The XUV300 is based on the X100 platform which also underpins Tivoli. It gets two engine options and several first in segment features. Mahindra for long was in need of a strong contender in the subcompact SUV space as it's the segment which garners strong volumes at present. SUVs have sold like hot cakes in the last five years and subcompact and compact SUVs more so as despite not be a true off-roader, they definitely have the appeal. The ascent of the subcompact SUV segment was also the reason why Mahindra lost its position of being India's largest UV maker since Maruti Suzuki now has the throne, thanks to the ever-popular Vitara Brezza. 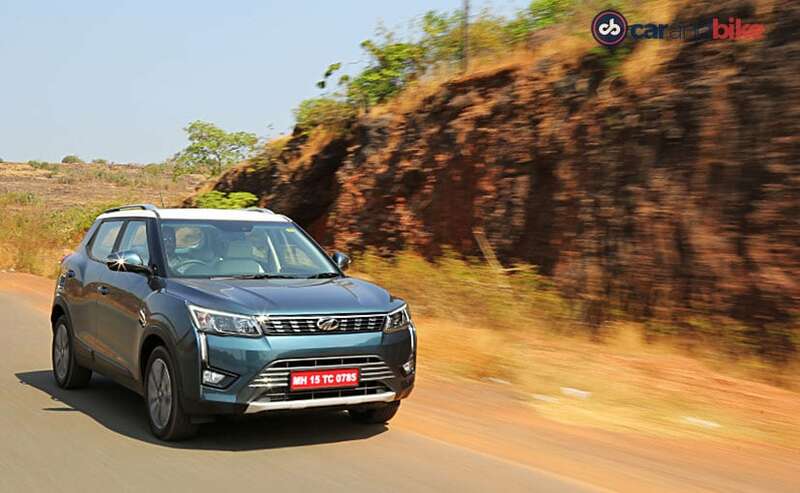 That said, the home-grown UV maker is finally up with the all-new Mahindra XUV300 which is launching on February 14, 2019 and according to our review is potent enough to give a sweat to the competition. The all-new Mahindra XUV300 is built on SsangYong's X100 platform which also spawns the SsangYong Tivoli which in-turn means that the XUV300 inherits some of the characters of the Tivoli. However, both are not exactly the same models as Mahindra has made changes to other underpinnings of the XUV300. For instance, it gets a new suspension set-up along with an entirely new steering mechanism. The XUV300 is even shorter in dimension than the Tivoli as Mahindra has axed its overhangs to keep its length under four metres. Though, it has the same 2620 mm of wheelbase as the Tivoli which is also the largest footprint in the segment. 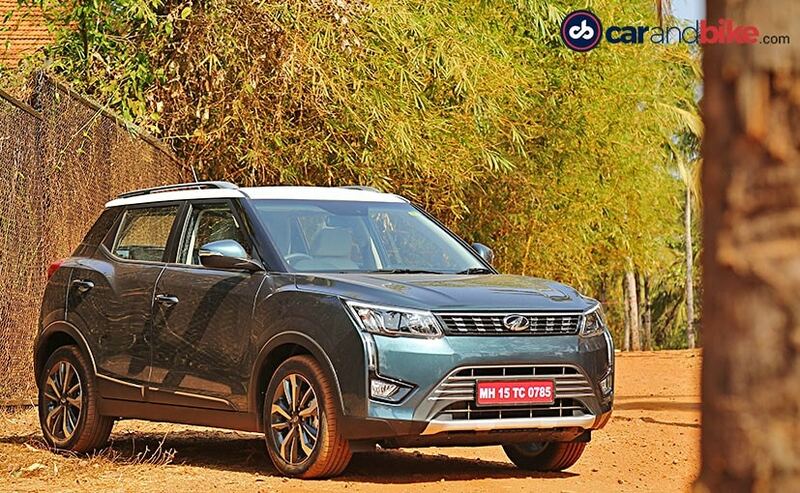 The Mahindra XUV300 also appears different in design than the Tivoli and Mahindra says that it's taken inspirations from its elder sibling- the Mahindra XUV500. Just to relate, the haunches are exaggerated like we have seen on the XUV500 and even the grille gets the similar chrome studs, though they are sleek. The Golf-Stick shaped fog lamps too are adjoined with the projector headlamps in a peculiar manner where the thin LED strip is adjoining both the units. Moreover, in silhouette, the Mahindra XUV300 looks really close to the Vitara Brezza and people are likely to confuse it with one if the XUV300 is parked with the body cover on and the dual-tone 17-inch alloy wheels could only work as a separator in such case. The Mahindra XUV300 has simply upped the ante in the subcompact SUV segment with the kind of cabin it gets. The colour combination of off-white and black and the materials used are exact same which we have seen on the Mahindra Marazzo but it seems even plush in this one. It also gets the silver finish on the dash and central console and piano black touches on the doors' armrests. 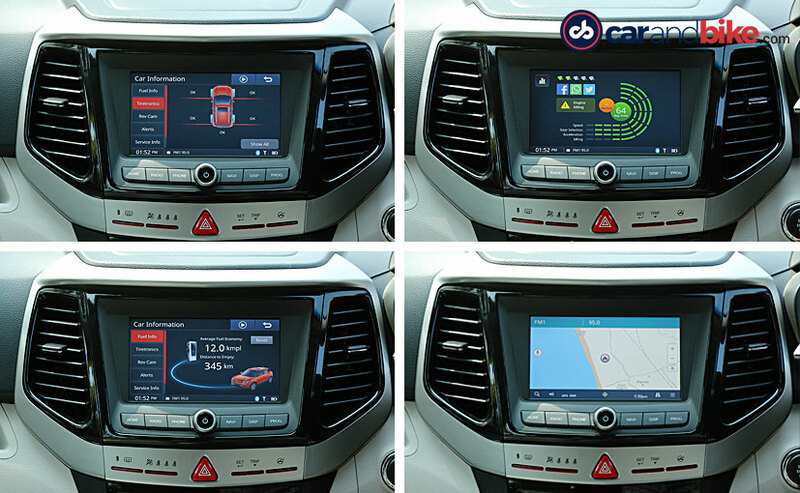 The layout of the dash and central console is rather conventional with the 7-inch touchscreen taking the centre stage with a cluster of switch knobs stacked below for climate control and other functions. 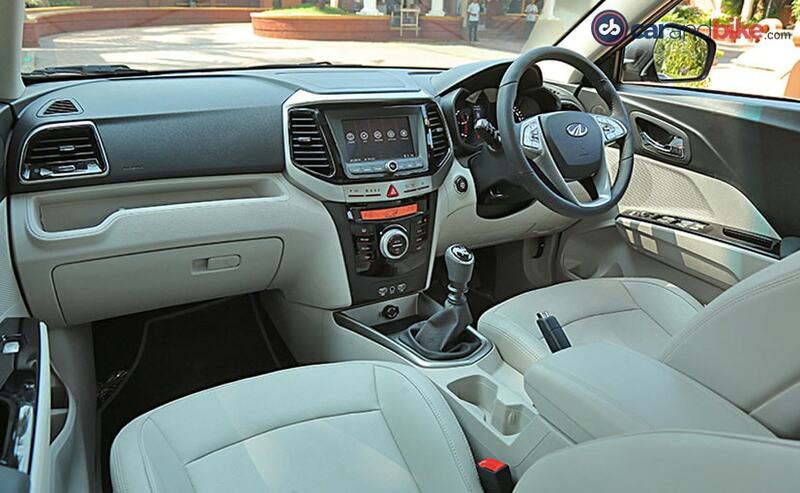 The cabin is also well-appointed according to our review and there is no major ergonomic issue like one in the Marazzo. The legroom at the rear is decent but it has a boot space of 308 litres which is the smallest in the segment. 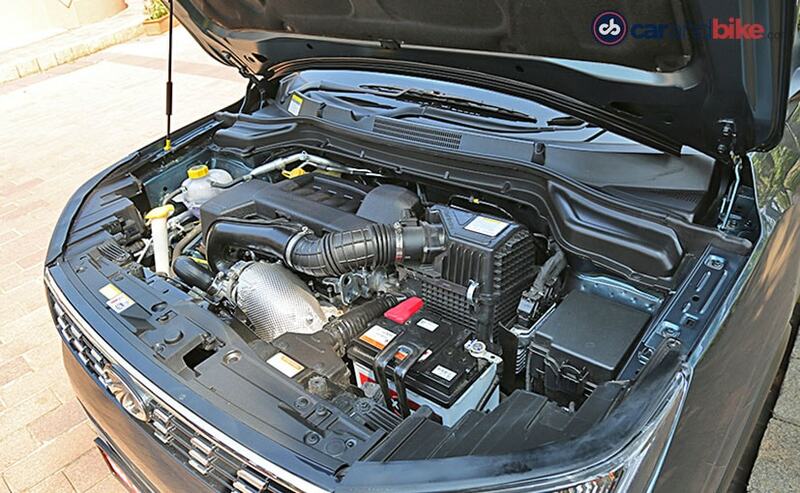 The Mahindra XUV300 will get two engine options - a 1.5 litre diesel unit and a 1.2 litre petrol motor. The Mahindra XUV300 will be launched with two engine options- diesel and petrol. The diesel engine is the same 1.5-litre four-cylinder unit which powers the Marazzo but it's been detuned for the XUV300. Here it produces 115 bhp at 3750 rpm and 300 Nm of peak torque between 1500 - 2500 rpm. The petrol engine is a 1.2-litre, three-cylinder turbocharged unit which churns out 110 bhp at 5000 rpm and 200 Nm of peak torque between 2000 - 3500 rpm. At the launch both the engines will be mated to a six-speed manual transmission as standard. There won't be an automatic variant at the launch which is a big miss as it would have added credentials for city runabouts and more so because all the competitors have an automatic transmission on offer. 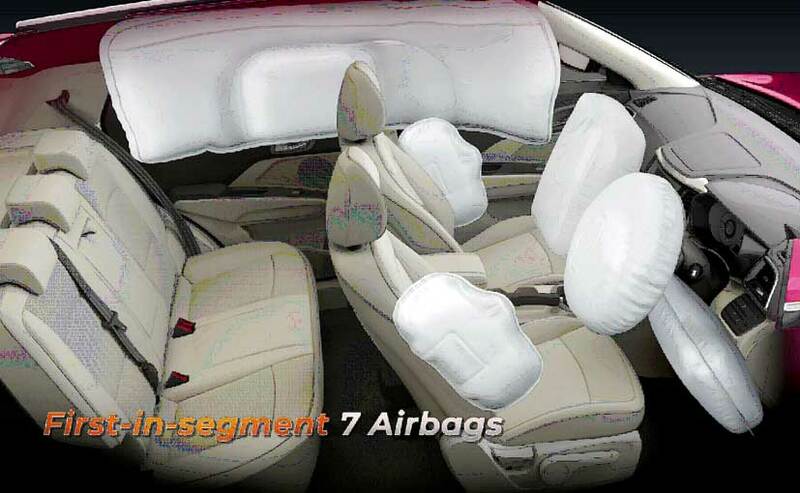 The Mahindra XUV300 scores even here as it offers up to seven airbags including one for the driver's knees. It also gets other safety features like ABS with EBD and rear parking sensors as standard. Moreover, it is equipped with all the driver-aid features like the Electronic Stability Program (ESP), Hill Start Assis, Hill Descent Control and Traction Control.